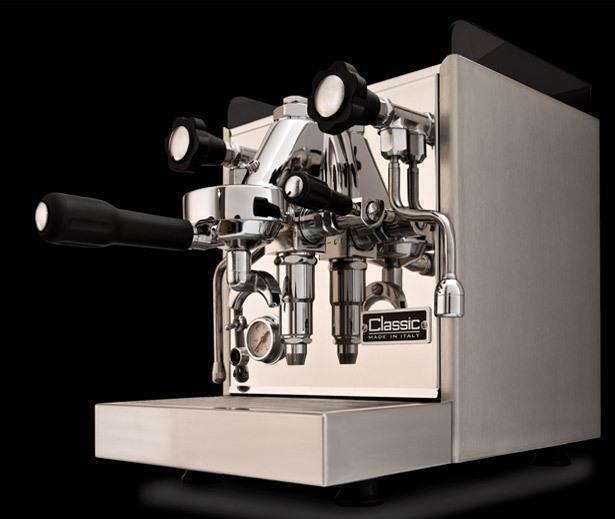 The Rocket Cellini Classic (pronounced Chell-ini) HX by Rocket Espresso Milano is quite impressive to look at, due to its solid steel construction giving the machine a positively gleaming appearance right out of the gate. It is quite heavy to lift because of all of that steel as well, shipping at whopping pounds and weighing in at a svelte 62 lbs even after you unbox it. 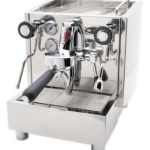 Looking at the exterior in terms of materials, the Italian-made Cellini Classic has a steel outer case which is a combination of matt and polished finish, and a couple of plastic handles and knobs that make this a more affordable machine than some. Indeed, if you were to nitpick the machine, you might notice a few spots where they used thinner plating, but the Cellini Classic does hide any sort of modesty well. 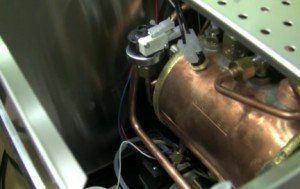 The 1.8 liter boiler is made out of copper, just the same as all the other Rockets. So, if you’ve used Rockets before, you’re dealing with the same boiler once again. 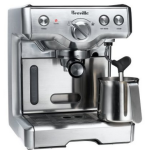 Just based on appearance alone, we’d say you’ve got yourself an espresso machine here that’s well suited for café life, and can rock a kitchen counter like no one’s business. If you own a café and want something dependable yet impressive behind the counter, the Rocket Cellini would be a good choice as it certainly looks the part of a pro unit. Luckily, it backs up its looks with some personality, so you don’t need to worry about the Cellini Classic being all show. 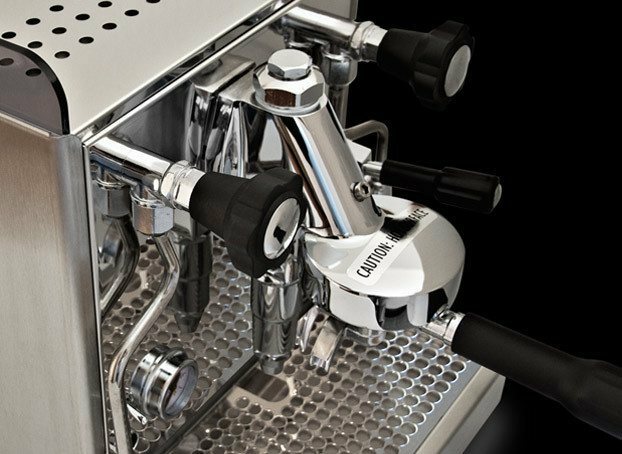 It may look a little complicated under the hood to the uninitiated, but, on the outside, the Rocket Cellini Classic very simple to operate for both barista and casual home user. In any case, you’re better off taking this espresso machine in if you run into any issues, since its on the higher end and should only be worked on by a pro. If you do want to do any kind of simple maintenance, for simpler jobs, there are four screws that can be removed that can be found beneath the cup tray on the top of the unit. Inside, the design is such that there is a lot of room around the parts so nothing will get overheated and making any serious maintenance of this machine to be a rare event. The well-fitted matte steel casing (matte on the sides, polished elsewhere) can of course be removed as well for repair work but, again, this would be a rarity as this machine is built to last. There are fewer controls on here than with most espresso machines and there isn’t anything special that needs to be done except from filling the water tank occasionally, and cleaning your wands. The Cellini Rocket Classic automatically maintains the water level in the boiler. If the water in the tank runs low, the machine switches off and even tells you with a flashing light. Note – the Rocket’s water tank sensor isn’t a fan of RO or distilled water, and so the water in the tank should contain some minerals if you expect the tank’s sensor to do its job properly. 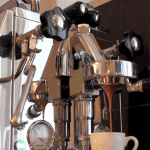 Take a look at the below video for an overview of some of the specifics in terms of programming your Cellini espresso machine. The Rocket Cellini Classic is very attractive and fits nicely on your counter under most cupboards, so it is not as big as some other monster-sized units. We have found the size to be very convenient. 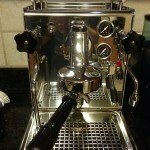 The brew head is the professional E61 from the famous FAEMA company in Italy, and FAEMA products are the top of the line. Coffee lovers would also love to know that the Rocket’s dual system will produce smoother coffee with superior aroma, body, and crema all because this system has a progressively working piston and static pre-infusion chamber. The Cellini company has chosen to use a vibratory pump with a special device that eliminates back pressure from the boiler and blockages. If you want to avoid burning yourself, choose the Rocket Cellini Classic because its steam wand has a two-hole tip and a hot water wand which are internally insulated and they are both stainless steel. You might also enjoy the removable plastic cup rack which will reduce the espresso machine’s height. You won’t have to take all the cups off the top of your espresso machine in order to refill it either because there is a separate lid for the 98 ounce water reservoir. The water heats quickly and the extraction is superior. No hassles! No worries! 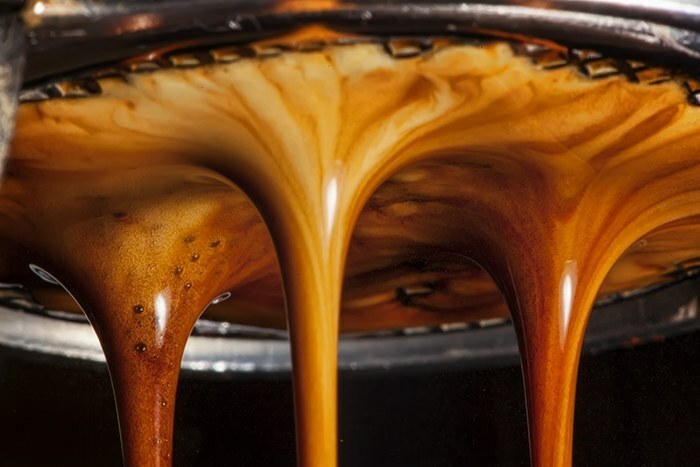 Just delicious espresso! Now for a bit of negative. The drip tray is decidedly small so it fills up easily. Also, as we mentioned, a few of the parts could be slightly higher quality, but this is made up for by it being more affordable overall. Don’t forget to backflush as well. That’s it! We highly recommend the Rocket Cellini Classic. 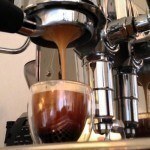 It pulls an excellent shot of espresso. Oh, and it does come with a decent coffee tamper, rather than a plastic one that you often get with espresso machines. Nice touch! 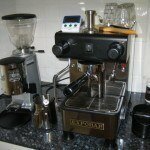 The Rocket Cellini Classic espresso machine gets a 5/5 from us.